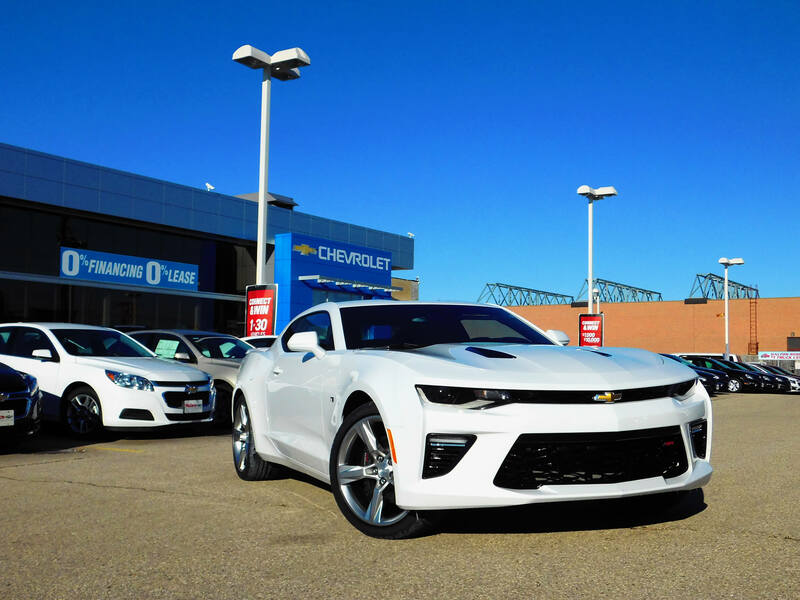 Wallace Chevrolet > Camaro > New Camaro Debut In Canada! New Camaro Debut In Canada! , allowing curious Camaro fans to see first hand how an LT1 V8 engine is assembled. The new Camaro lineup includes three engines and two powertrain options, providing owners with six different combinations. Powertrains include a new turbocharged 2.0L inline four-cylinder engine (275 hp & 295 lb-ft of torque), a potent 3.6L V6 (with 335 hp & 284 lb-ft of torque) and, of course, the monstrous LT1 V8 engine (455 hp & 455 lb-ft of torque) fitted in SS models– the most powerful SS Camaro model ever created by GM! All three engine options can be paired with either a six-speed manual transmission or an all-new eight-speed automatic transmission.